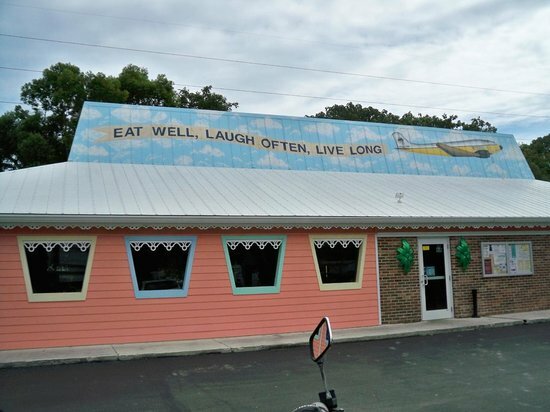 Never thought someone would use the same (similar) phrase, “Eat Well, Laugh Loud, Live Long”. Many years ago, I obtained a copy of an autographed version of “The Teenage Textbook” by Adrian Tan. Adrian wrote in my copy, “Laugh Loud, Live Long”, and I thought it was really good advice. When I started this blog, I wanted a phrase that captured the essence of the blog, so I added “Eat Well” to the phrase. Mrs Mac’s Kitchen in Key Lagos, Florida serves steaks and American diner fare. It’s now on my bucket list of restaurant to try.